Chimpanzee Skull. Pan troglodytes. Adult. Tropical and montane rainforests of central Africa. California Academy of Sciences specimen. 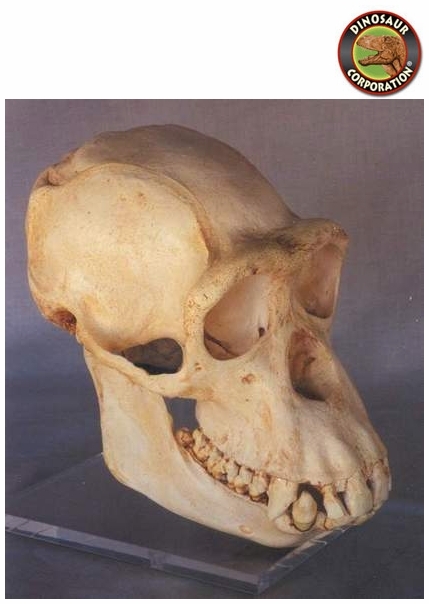 * Category: Primates Skulls * Museum quality * Cast in durable Polyurethane resins. Chimpanzees, sometimes colloquially chimps, are two extant hominid species of apes in the genus Pan. The Congo River divides the native habitats of the two species.